As they enter their 50th anniversary, Azza Fahmy jewelry celebrated the release of their Mother’s Day collection at their Jordanian home, Orient Galley. The esteemed brand displayed the new collection as well as some of their older classical pieces on the evening of Monday 18th of March. 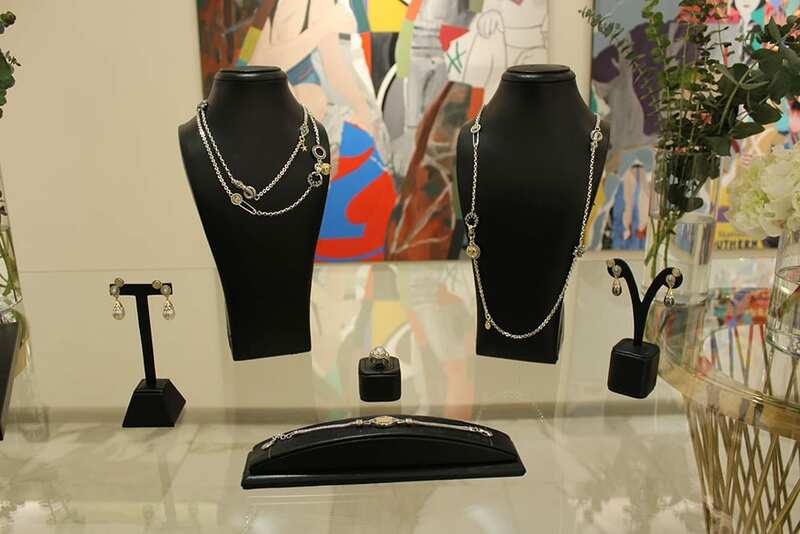 The jewelry house is one of the most well known and prominent design houses from the Arab region. With boutiques and stores spread from Egypt to London and California, Azza Fahmy is known and admired all over the world, and seen on everyone, everywhere. It’s very challenging, family businesses are usually challenging but I think we’ve succeeded. We grew up in this family business and have been part of it all our lives. I joined the team back in 2000 and my sister got on board 5 years later, so by 2006, my sister, my mother and I were running the company together, while still living under the same roof. It’s very easy to start mixing work with family life, so it got to a point where I remember my mom telling us: ‘bosso [look] we need to separate work and family matters, otherwise we’re going to talk about work forever’. With Fatma on board, she wanted to widen the brand’s reach and take it internationally. That is how their London and California boutiques came to be. By doing so, the marketing department observed that with each market comes a different specificity; people were looking for different things. But all their clients from all regions in the world had one common factor: they wanted a piece that tells a story. The inspiration behind our jewelry is simple; it is inspired by global cultures as a whole whether it’s Lebanese, Egyptian, African, Ottoman or Victorian. The emphasis and essence of our culture, is prominent in our jewelry and is one of the elements that make a Azza Fahmy piece so beautifully distinctive and narrative. We want to bring back culture and incorporate it within a modern piece and eventually make it into something that people can wear on a daily basis. Think of it as bringing the old back with a modern twist; this way our culture and our heritage gets to live on. The most important value behind our ongoing success is sticking to our motto; which is showcasing what the Arab culture has to offer the world. We are more than what the media talks about and more than what meets the eye. Our culture is rich and filled with history. 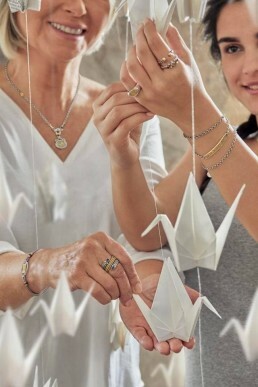 The way our jewelry is made and presented, as you can observe is with love, care, culture and beauty. No matter how far our global reach is, we maintain our individual mark. We want to make sure that each piece screams ‘Azza Fahmy’ regardless of where it is and who wears it. 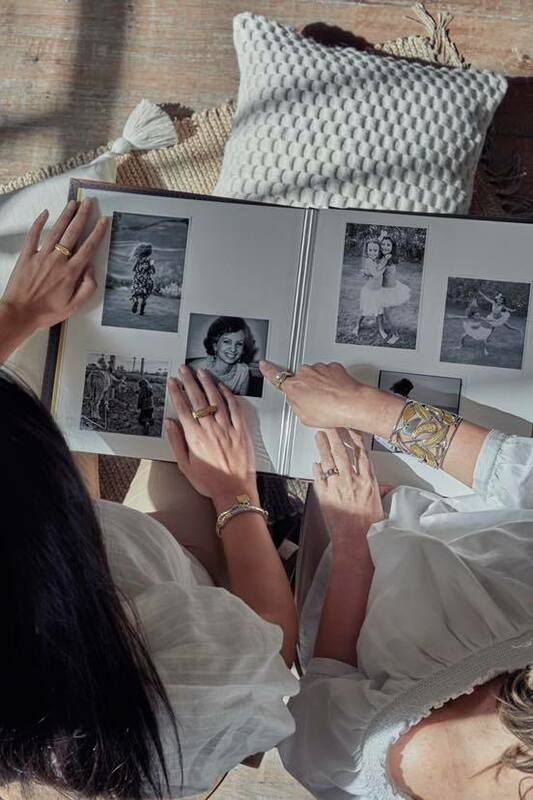 Any piece from the Azza Fahmy catalogue can be described as big, bold and beautiful. The jewelry lines are treats for the eyes and unleash a sense of empowerment when worn. With each piece being as unique as the next; no two designs are similar and each is as precious and as special. To describe the brand Fatma used three words unique, story, and beauty. It’s the woman herself who is inherently strong, and I think the pieces of jewelry help unleash that power and strength. You can feel the goddess in you coming out when you wear these pieces. 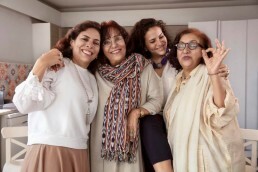 The Azza Fahmy brand does not only produce pieces of jewelry; they produce works of art. Each item is designed specifically and uniquely with different concepts and themes, but nevertheless maintains the spark of beauty, culture and a sense of empowerment. Image courtesy of Azza Fahmy.